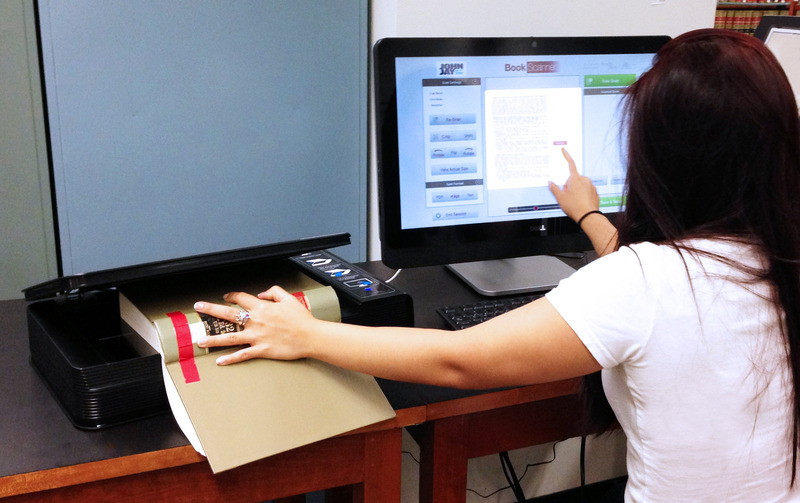 Let us scan & preserve your priceless reading assets! An ELN, or Electronic Laboratory Notebook, is a way to create an almost instant archive of a lab notebook. Many laboratories, both private and educational, have moved to using these devices. It may come in the form of a tablet, or it may be a pen object that writes on regular paper, but stores everything that is written to an Internet-based lab notebook archiving services. There are many excellent benefits to using ELNs. They allow you to search through your data easily, they store your records with a lab notebook archiving service, they make it very easy to collaborate or work on the same project in different locations. One of the few downsides is that some organizations have strict rules about the presentation of digital materials that may require an extra step when you are organizing your material for presentation or submission. One of the worst things that can happen to someone, after months or even years of hard work in a lab, is for their information to get corrupted or stolen. Suddenly, the data that you’ve worked to collect, the reports you’ve made, and the proof you need of your hypotheses, are all just gone. This is why it’s a great idea to use multiple backups of your lab notebook. Lab notebook archiving services can provide you with an additional backup, on top of what your ELN provides. With time stamps to prove you own your work, secure networks that protect your information from theft, and the safety of knowing your data is all saved in another place, it’s easy to see why an archiving service would be of interest for a lab technician. Be sure that your lab notebook archiving service saves your data, linked files, attached files, and metadata for every entry, so that nothing is ever lost for good. eRecordsUSA is specialized in providing Lab Notebook Archiving Services / Lab Notebook Archival Services / Lab Notebook Scanning Service. Would you like to receive a free quote to archive your lab notebooks? Call +1.855.722.6669 or eMail us at info@eRecordsUSA.com. eRecordsUSA offer Lab Notebook Archiving Service in following areas of California, San Francisco, Silicon Valley, San Mateo, Sunnyvale, San Jose, Mountain View, Redwood City, Santa Clara, Marin East Bay: Fremont, Hayward, Oakland, Contra Costa, Pleasanton, Dublin, Livermore, Alameda, Milpitas, San Ramon, Concord, Napa Valley: Fairfield, Petaluma, Pittsburg, Santa Rosa, Sonoma, Vallejo, Solano & Martinez. The team at eRecordsUSA digitized all my business school course readers on a quarterly basis into high contrast, easily readable and searchable pdf documents. Ideal for reading and studying on my iPad. Thank you for great consistent service with a fast turn-around time! Taking on thousands of pages of Genealogy Records requiring delicate, one-by-one scanning, eRecordsUsa and their personnel performed with precision and thoroughness to create beautiful results for us! I am deeply indebted to eRecordsUsa for his help with this project, as are my clients. Geyer-Smith Family. My wife authored a book published in 1999. The The book is out of print and there are still brisk sales of used copies so she decided to publish on Kindle. eRecordsUSA in Dublin California scanned a perfect copy of the book ready for publication, no flaws to fix we were on Amazon\'s page within two hours. I highly recommend eRecordsUSA. They do it right the first time.